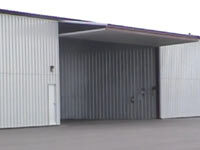 The project that started the concept of Flying Crown entering the aviation real estate business, Owatonna Degner Regional Airport is strategically located along the northern route from New York to Seattle. A small-town airport located along Interstate 35 is home to key national manufacturers with increasing need for general aviation air service. A cluster of t-hangars strategically located on the southeastern border of the airport complex had to be removed due to runway extension plans. The resulting consulting engagement ensured these local business leaders could continue to reach important metropolitan airports using aircraft. This project will continue to serve as a historical legacy for the organization.